Cynthia Leimbach’s cupboards last fall were the opposite of her course load: empty. Without bowls, she and her young son would eat chicken noodle soup from the same pot it was cooked in, sharing a single spoon. Afterward, if they were still hungry, she’d dole out a back-to-school meal of canned tuna and saltine crackers. An incoming student-parent at UC Berkeley, Leimbach faced 48 days without food stamps, a holdup caused by her move from Orange County. The numbers — 48 days, a few cans of food and an 8-year-old son — just weren’t adding up. In the University Village area, where Leimbach and many other student-parents live, 7.81 percent of people received food stamps in 2012, according to Alameda County Social Services data. In 2013, it jumped to 10.21 percent. 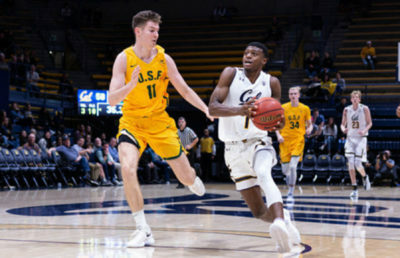 But when it comes to cases of food insecurity, or the condition of being unable to regularly access nutritious and sufficient food, UC Berkeley isn’t necessarily in the spotlight. 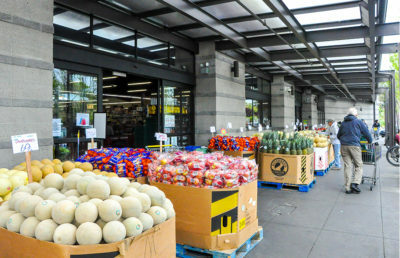 For starters, it’s difficult for college students to access food assistance programs such as CalFresh,the state name for the federal Supplemental Nutrition Assistance Program, or SNAP, formerly known as the Food Stamp Program. Most students aren’t even eligible for SNAP benefits if they are enrolled in an institution of higher education for at least half time, according to federal rules. But workarounds do exist. For example, if students are taking care of a dependent younger than 12 years old or work at least 20 hours per week, they may be able to qualify for benefits. Once they qualify, though, students still have to jump through a series of hoops to prove their eligibility. 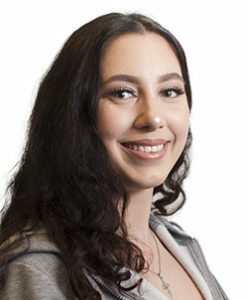 Koko Mulder, University Village’s academic program coordinator, said students don’t always have the documents the Social Services office needs, such as tax filings and paycheck stubs, and misinformation abounds. The food shortage Leimbach experienced when she first came to the campus-owned University Village wasn’t unusual, according to Mulder. It was this kind of bureaucratic delay that spurred Mulder to found the Bear Pantry in University Village, an emergency food bank for student-parents. While waiting for the campus financial aid office to disburse money, Mulder ran out of food and couldn’t feed herself, let alone her two growing daughters. She had applied for food stamps, but the overwhelming red tape she faced from Social Services made her wonder if help would ever come. 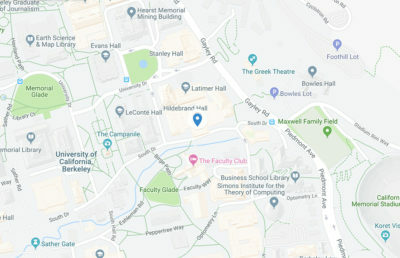 She turned to the closest community she had there: the social network of undergraduate student-parents who lived with her in Albany’s University Village. Through their extra food and dinner invites, Mulder and her daughters lasted the 11 days it took for food stamps to be issued. But the matter, she said, stayed on her mind for much longer than that. 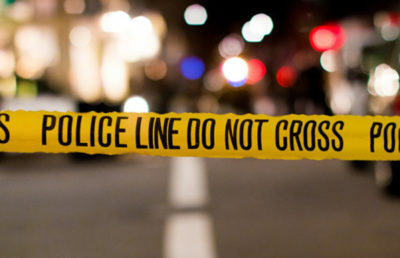 Mulder said what struck her about the experience was that the parents who were helping her would talk about food emergencies as a recurring event. They used phrases like “when this happens to me,” which to Mulder reinforced the notion that food insecurity was a fact of life for most student-parents. Rather than let empty stomachs and hungry kids become another inevitability, Mulder wanted to solve the problem. In 2009, less than two years after her own food crisis, the Bear Pantry first opened for business. From the start, the Bear Pantry’s goal was never to serve as a substitute meal plan, Mulder said. Rather, it is specifically intended for food crises, accessible just twice per semester to only UC Berkeley student-parents with demonstrated financial need. When they come knocking, Mulder provides them with a two weeks’ supply of food and a $30 gift card to pay for any perishables, such as milk, bread and produce. Leimbach credits the Bear Pantry with keeping her and her son, Miles, from going hungry. After a community college friend who had also transferred to UC Berkeley told her about the pantry’s existence, Leimbach contacted Mulder to get her own bin of food. While the Bear Pantry doesn’t provide perishables, the Student Parent Association for Recruitment and Retention holds a weekly food pickup where student-parents can receive a free bag of fresh produce and other offerings, collected from local vendors that include Whole Foods and Noah’s Bagels. 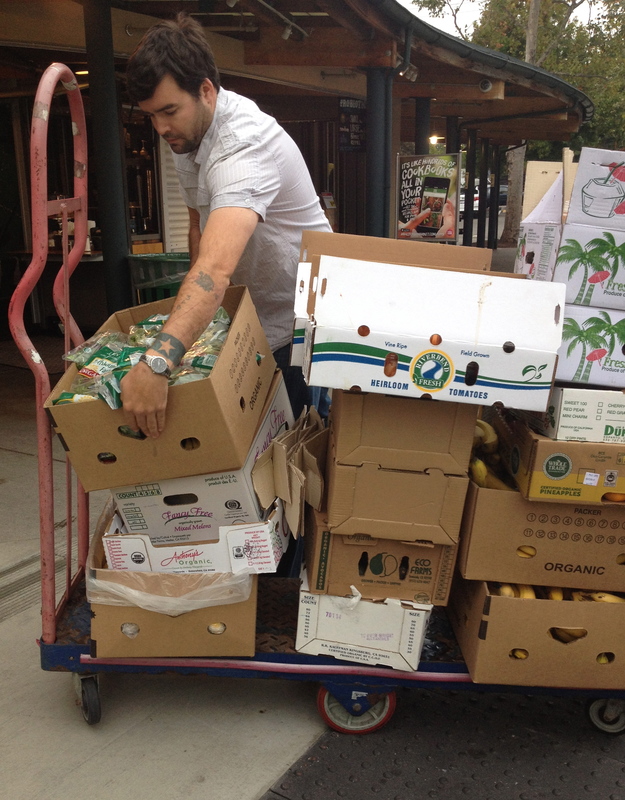 Volunteers such as Jeff Stock, a UC Berkeley senior and student-parent, haul crates of produce and bags of bagels to a designated pickup zone in University Village. Even though Mulder has seen the Bear Pantry make a difference for hundreds of students, like Leimbach, she warned against treating food pantries as last-resort solutions. There’s a mythology that college students are from “well-heeled” families and enjoy a greater level of affluence than their nonuniversity peers, according to Mulder. In addition, she said part of the problem is a lack of distinction between the students who attend private and public universities. In fact, Mulder said, the stereotype, at least in University Village, is the opposite: She knows a number of student-parents who save money from financial aid disbursements to send home to their parents. 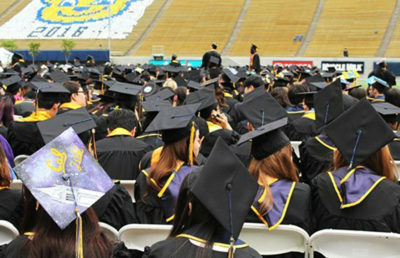 UC Berkeley student-parents are overwhelmingly low-income and minority students, said Student Parent Programs and Services Director Ginelle Perez. According to Perez, about 87 percent of undergraduate student-parents are Pell Grant recipients, a common indicator of low-income status, while approximately 52 percent are from minority backgrounds that have been historically underrepresented in higher education. Among all UC Berkeley undergraduates, 33 percent of students received Pell Grants in the 2012-13 academic year, according to the 2013 undergraduate profile.For comparison, 16 percent of Stanford University students received Pell Grants during the same time period. In between Ocean View Elementary School and an Arco gas station in Albany lies a community farm where people harvest anything from bok choy to muskmelon. The Gill Tract, a historic piece of East Bay land that once stretched from San Pablo Avenue to the bay, now comprises 10 to 20 acres, depending on whom you talk to, of viable agricultural land next to University Village. 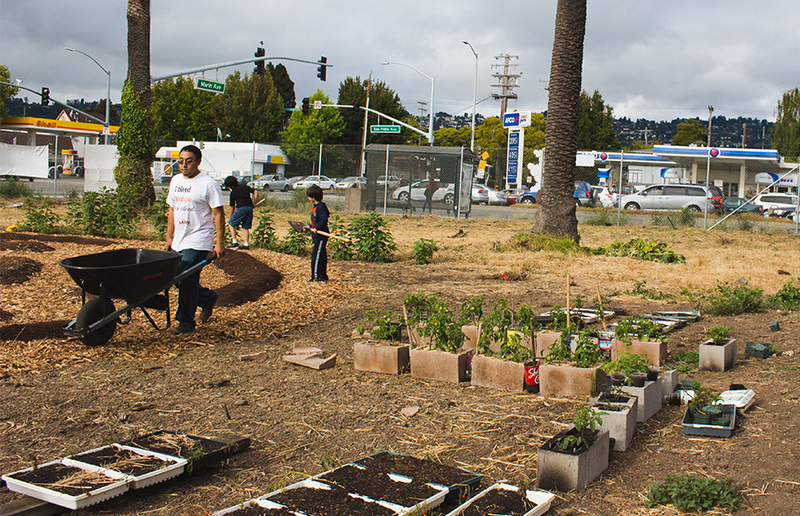 The Gill Tract Community Farm is part of that legacy. Jon Hoffman, 65, oversees work at the farm. He envisions its potential as the heart of the community, pumping out resources to feed those in need. To do that, however, he wants all 20 acres of remaining land to be used for community farming. 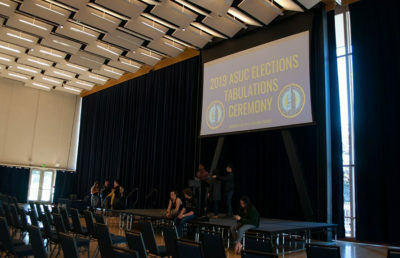 The university maintains that the Gill Tract comprises only 10 acres and plans to build a senior center and a Sprouts grocery store on the other 10. The disagreement between the two parties stretches back several years; in April of 2012, protesters first set up encampments on the land as part of a movement called Occupy the Farm. Since then, protesters have been locked in a battle with the university over the rights to the land. They have tried tactics such as a second occupation in 2013, a petition and a boycott of Sprouts. Given the university’s response to their demands, many on the farm expressed skepticism of the UC Global Food Initiative, announced this summer, which is intended to reshape the global food system. 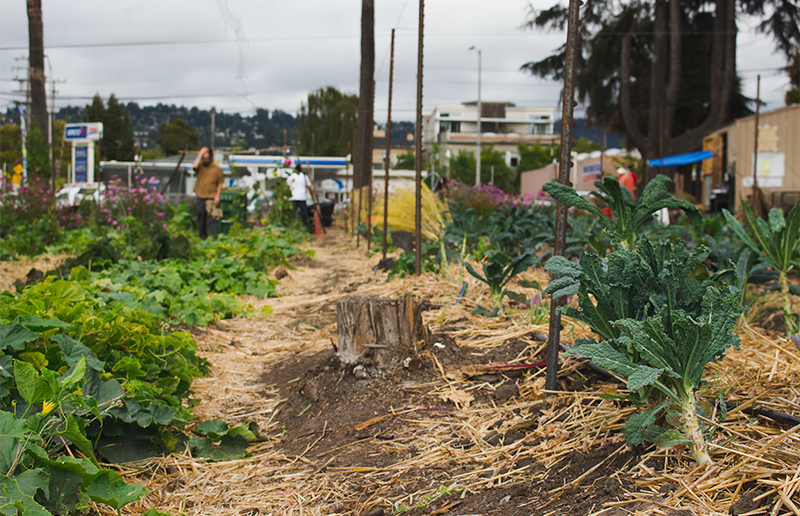 While Vanessa Raditz, a graduate student at UC Berkeley’s School of Public Health, praised the initiative, she also said there was a lack of support for local programs such as the community farm, with which she is actively involved. Students for Engaged and Active Learning, a coalition of campus students and alumni involved in the campaign for all 20 acres, took to Twitter and Facebook in July after the food initiative’s launch with hashtags such as #walkyourtalk and #localfood in response to the university’s use of the hashtag #globalfood to promote the initiative. Launched by UC President Janet Napolitano, the initiative’s first phase will include a local component that focuses on projects within the UC system. This will include an emphasis on experiential learning about sustainability and food systems that will help develop practices for implementing change internationally. But Raditz said paving over part of the historic Gill Tract highlights what she called the hypocrisy of the university’s actions. 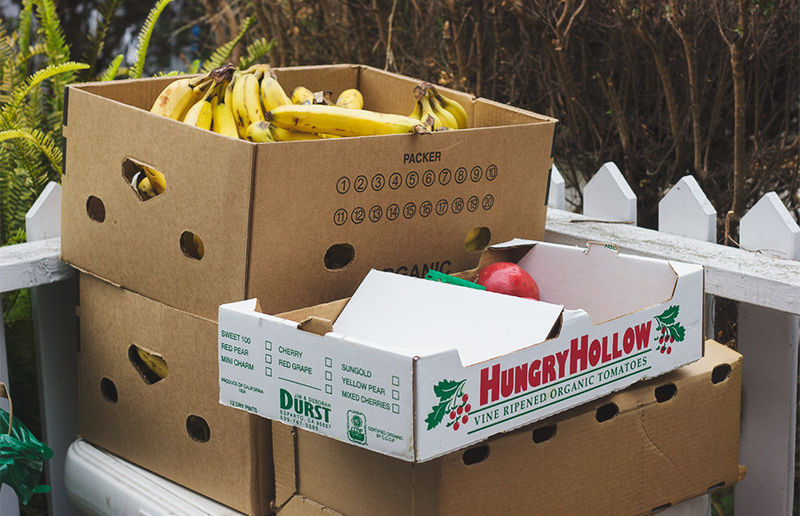 For students who can’t make the three-mile trip to the community farm, sustenance lies in the back room of Stiles Hall, located on the corner of Bancroft Way and Dana Street. On a recent Monday afternoon, students trickled out of the UC Berkeley Food Pantry, which opened for business this spring, arms full with items such as cereal, Gatorade and chicken Alfredo. Hector Rios, a UC Berkeley junior, carried containers of microwavable meals. He first tried the beef stew that morning, and he came back for more. Two days per week, for about four hours each day, students can come into the pantry and take three items from the shelves, provided they show their student ID. There is no limit on the number of times students can come in, according to Jorge Vargas, a student coordinator for the pantry. Vargas doesn’t want to just provide boxes of cereal and packaged soup to the food pantry’s patrons — he wants it to become a place of nutrition awareness. He said the pantry has already started going in that direction by working with a Tang Center dietician to make the pantry a place where students can learn about diversifying their nutritional intake. For UC Berkeley Food Pantry volunteer Michelle Smith, this effort hits particularly close to home. Mary Henderson, a lecturer in the department of nutritional sciences and toxicology, said part of the issue is that students don’t necessarily have the skill sets or the knowledge to budget both time and money to produce nutritious home-cooked meals. 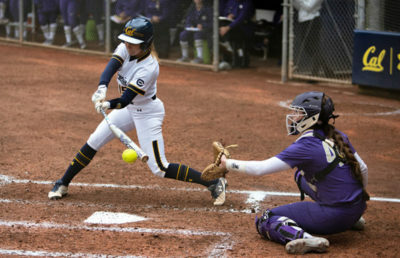 Henderson also attributed part of the cause to housing trends on campus; although UC Berkeley guarantees housing to most undergraduates for two years, more than 70 percent of undergraduate students choose to live off campus, often without the meal plan and the convenience it brings. For campus junior Olivia Rodriguez, who picks up food at the pantry, missed meals happen because she and her housemates don’t always have time to cook. 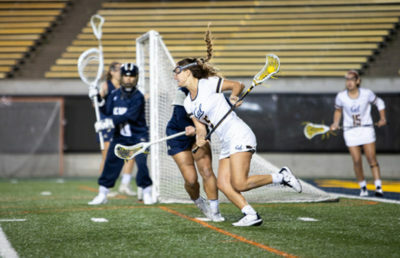 Skipping meals has become routine for UC Berkeley students, Rios thinks, because commitments such as classes, clubs and research that leave no room to take a break for meals have become the norm. Tuyen Nguyen, the coordinator for the Associated Students Food Bank at UC Santa Barbara, said when the food bank first opened back in 2011, about five students came in each week. Now, the pantry sees about 900 visits a week, an increase that Nguyen attributes in part to the rising overall cost of attending college, including housing costs. Raditz believes the issue is ingrained at every level of the food system, starting from farmers who grow the food to the restaurant workers who serve it. Henderson called food insecurity among college students an “emerging issue” and said rising costs of everything, from food to tuition, are part of the problem. 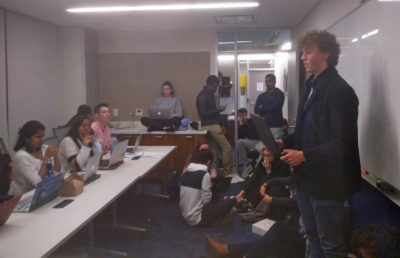 Back at University Village, Leimbach wants to raise awareness of the issue, especially because food provides fuel essential to learning and development. Contact Katy Abbott at [email protected] and follow her on Twitter @katyeabbott. The Daily Cal offers cutting-edge training in journalism and business to hundreds of students every year, and we need your support. Please make a donation to support our coverage. 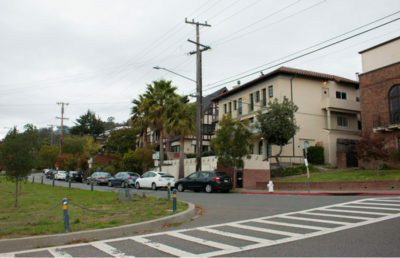 A previous version of this article referred to the community farm at the corner of San Pablo and Marin avenues in Albany as the Gill Tract farm. 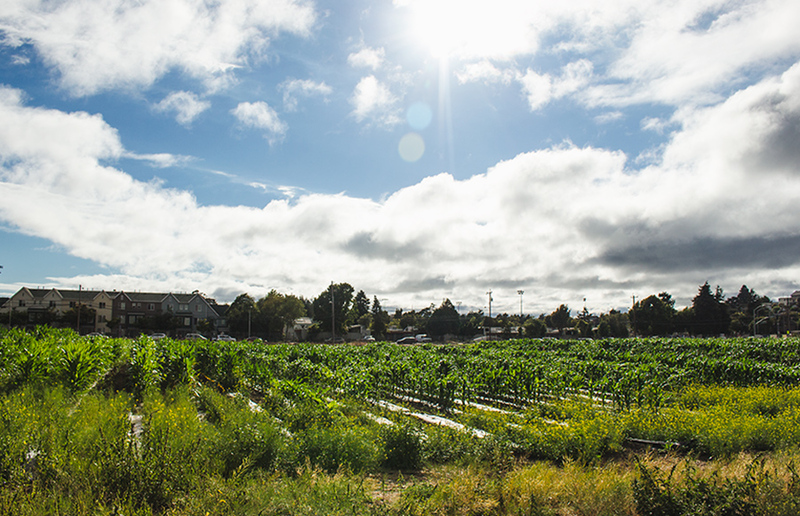 In fact, its full name is the Gill Tract Community Farm and is a portion of the larger Gill Tract.